It was quality over quantity in 2016, as a fraught growing season with sharply reduced production appears to have produced charming, aromatically appealing wines that will give early pleasure. The best 2015s are denser, deeper and more serious but rarely show the austerity of wines from more classic high-acid years. While it’s much too early to know what level of quality the very early, very warm growing season of 2017 will achieve, growers and the négociants who rely on them are buoyed to have some wine at last after a series of short years. Somehow, the heart of Burgundy managed to dodge an extended cold spell in late April that resulted in serious frost losses from Bordeaux to Chablis to Switzerland to Tuscany. 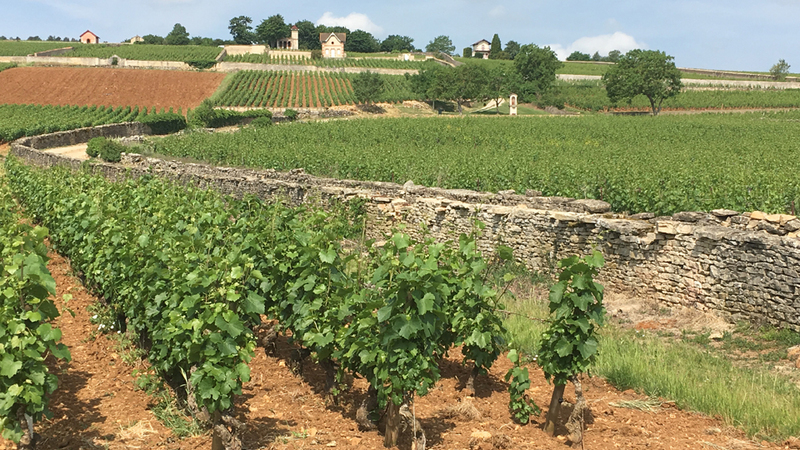 Finally, Burgundy caught a break, even if many vineyards on the Côte de Beaune are still recovering from the violent weather events of recent years. It’s a good thing, too, as white Burgundy lovers in export markets have had to scramble to find their favorite wines. Prices have inevitably risen due to lack of inventory in producers’ cellars. While neither 2016 nor 2015 is a consistently outstanding year for these wines, both are very good and both produced many superb bottles. The ‘16s, in spite of a very challenging spring and a late flowering, are turning out to be delightful, expressive, midweight wines that should offer considerable early appeal. The 2015s have gone into bottle - especially those that were able to take advantage of a leisurely élevage - with more energy and grip than I would have predicted a year ago, and the best wines boast a rare combination of richness, structure and aromatic thrust. Following a freakishly mild winter (reportedly the warmest December-through-February period in over a century), most of March was cooler than normal. A warmup at the end of the month and into April led to a budburst close to normal, but nearly two months of gloomy, wet weather followed. Although the Côte d’Or did not suffer serious spring hailstorms à la Chablis, parts of the Côte de Beaune (and Côte de Nuits) were hit hard by severe frost in the early morning of April 27. The previous evening had brought humidity and rain, but a degree or three of frost in conjunction with brilliant sunshine that morning resulted in widespread destruction. The sun acted like a magnifying glass on the ice-encrusted young buds, essentially exploding the buds in the most-affected areas. In most years, well-aerated hillside vineyards are less affected by frost, as the coldest air typically slides down the hills and settles in lower, flatter spots—normally in village appellations or Bourgogne. 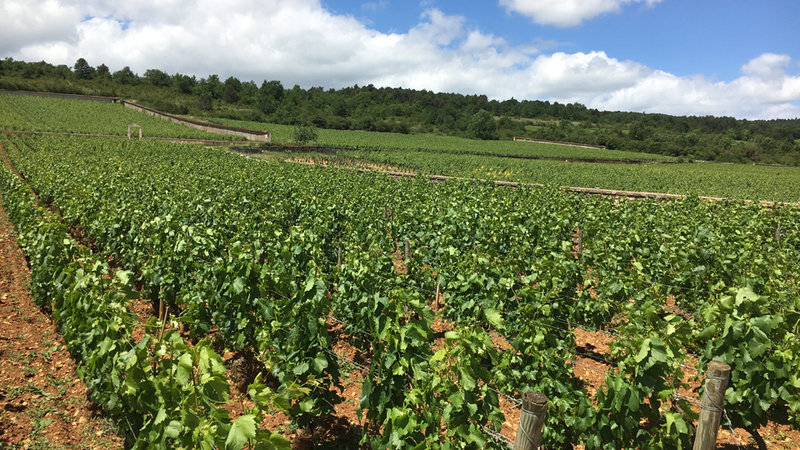 In 2016, though, some of the Côte de Beaune’s most hallowed hillside sites, including Montrachet and Chevalier-Montrachet, were the first to be hit by the rising sun. In fact, the area in the northern section of Chassagne-Montrachet encompassing Montrachet, Chevalier-Montrachet and premier crus including Blanchot, Chenevottes and Vergers was an epicenter of frost damage. (On the other hand, the southern portion of Chassagne into Santenay was protected against the worst effects of the sun by morning mist.) There was also major damage in parts of Meursault (Poruzots and Bouchères, for example), the grand crus of Puligny-Montrachet and some of its premier crus (higher sites like Folatières, Truffière and La Garenne were much less affected), the Pernand side of the hill of Corton and some low spots in Savigny-lès-Beaune and Ladoix. Hail effects often ranged dramatically within fairly small areas, thus ensuring a complicated summer in the vines from the outset. I will report on frost damage and other vicissitudes of weather on the Côte de Nuits in 2016 in my coverage of red Burgundy at the end of the year. Even the most severely frosted vineyards of the Côte de Beaune did not have the nuclear winter look of those on the Préhy plateau of Chablis during my visit in late spring of ’16. But the so-called black frost of the night of April 26/27 (a “dry freeze” that is severe enough to blacken the vegetation in addition to destroying the young buds) had clearly done substantial damage, and many growers were already predicting catastrophic crop losses for their most-affected vineyards. While some of their early predictions turned out to be overly pessimistic, crop levels in the end were extremely variable, with many of the hardest-hit vineyards off by 60% or more and numerous estates not even bothering to make some of their usual bottlings, often choosing to blend their tiny remaining quantities of usable grapes into catch-all village wines. In other cases, quantities in some premier cru vineyards were so infinitesimal that producers simply combined them into single premier cru bottlings. Some grand crus were not made either, and the Chassagne-Montrachet side of the grand cru Montrachet was so badly compromised by frost that six growers (Domaine de la Romanée-Conti, Domaine des Comtes Lafon, Domaine Leflaive, Domaine Guy Amiot et Fils, Domaine Lamy-Pillot and Domaine Fleurot-Larose) decided to co-vinify their tiny quantities of remaining grapes at Domaine Leflaive to produce a special two-barrel lot. Following the disastrous frost, conditions then remained miserable well into June. My annual visit in late May and early June was chilly and dreary, with winemakers still unable to get into their vineyards to treat against the maladies triggered by the copious rainfall, consistently damp soil and cool temperatures. The flowering was very late, taking place during the second half of June (at the early end of this period in vineyards unaffected by the frost and considerably later in frosted spots that eventually sprouted a second set of buds.) 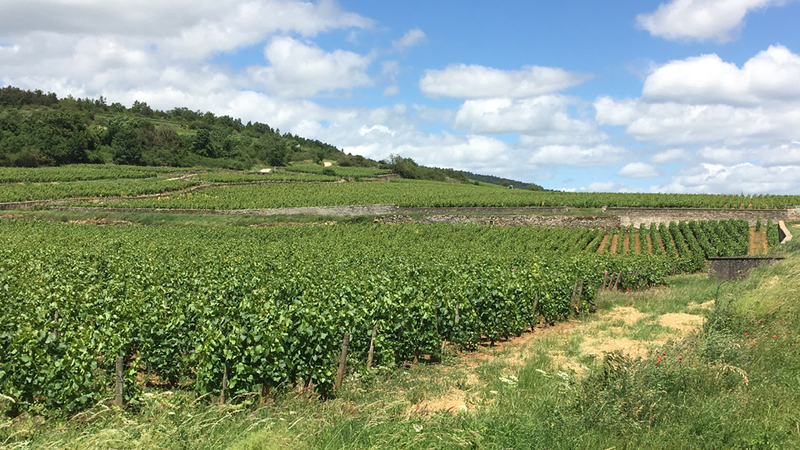 Growers needed to spray repeatedly against both powdery and downy mildew well into July, although these issues were often easier to manage than in Chablis, as vines on the Côte de Beaune had not also been weakened by hail storms during the spring. Still, some growers who farm their vines organically had no choice but to abandon bio principles in an attempt to save their crops by using sulfur and fungicides, even at the risk of jeopardizing their organic certification. The warm, sunny July weather helped to calm the waters. There was a sharp heat spike in early July, then dry, warm weather settled in by the middle of the month and lasted well into September. The second half of August was especially hot, resulting in a blockage of maturity or grillure (grapes burned by sun) in some sites. But grape sugars were moving up quickly in the final week of the month and were further stimulated by a bit of refreshing rainfall at the beginning of September. A week featuring more significant precipitation and somewhat cooler temperatures beginning on September 13 slowed further uptake of sugar, and acidity levels in the grapes often leveled off after having steadily declined during the warm weather in late August and the first part of September. The first harvesters began on around September 17 (a few growers in Meursault started even earlier than that) as their vines that had not been affected by frost ripened well and they wanted to preserve acidity; others waited up to a full week to begin picking. Some growers claimed that the mid-September rainfall was constructive for the balance of the grapes while others thought it resulted in some dilution of acidity and potential alcohol. The wines are less likely to show exotic aromas than the ‘15s but more likely to reveal some herbal traces as the grape skins were not quite as ripe in 2016. 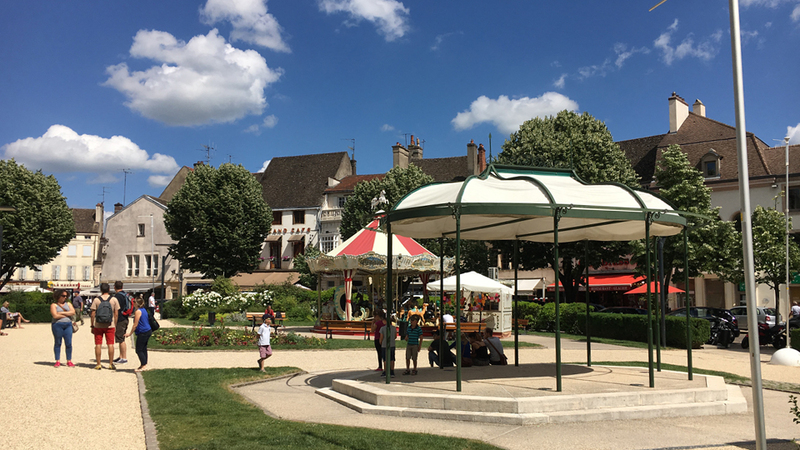 Rot was less of a threat on the Côte de Beaune than in Chablis since the harvest finished earlier on the Côte de Beaune before rot became established. Sugar levels in the grapes ranged widely but were generally lower than those of the four previous vintages and moderate overall. Potential alcohol was generally between the high 11s and high 12s but was more elevated in some sites with very low crop levels. Many growers chaptalized their ‘16s (especially where grape sugars were in the mid-12s or lower), in some cases more to extend the fermentations than to beef up their wines or seriously change their balance. Of course, grape sugars could be considerably higher in vineyards that carried tiny crops. Some winemakers cut back on bâtonnage because they weren’t completely confident about the health of the skins, while others did more stirring, with the objective of fattening their wines or even extracting more acidity. In 2016, a higher percentage of the acidity was malic (in 2015 most of the malic acid was burned off by the heat of summer but more of the relatively stable tartaric acid remained) and thus the wines changed substantially during the malolactic fermentations. Several growers pointed out that their wines began tight and linear, and a bit lacking in personality, but gained in density and aromatic interest during the malos. Some of the malos finished fairly quickly but others did not start until spring; in fact, I visited several cellars at the beginning of June where the malolactic transformations had barely begun. There was generally good skin ripeness in 2016 so the better wines avoid greenness. But they’re less ripe and full than the ‘15s and come across as more charming and accessible at the same stage, showing surprisingly fresh aromatics and good typicity. These are fruity midweights with decent minerality and terroir specificity; even if they’re rarely high in acid they are nonetheless lively and appealing. (I should note that although many growers describe their young ‘16s as fresher and easier to drink than their ’15s, others find their 2015s more minerally). Even where acidity levels are modest, pHs are generally sound and the digestibility of the wines gives them a light touch and early appeal. If the ‘16s are more incisive than the 2015s, that’s often because they have less stuffing. But the better ‘16s possess charm and balance. Very few growers predict that 2016 will be a vintage for extended aging, the majority believing that the wines will be best in their youth. Many of them should be enjoyable virtually upon their release. With respect to wines that are unusually concentrated owing to low yields, their longevity will depend on how well balanced they are—and balance is often a question mark when Chardonnay crops have been curtailed by violent weather events. (In fact, many growers say that they’re instinctively suspicious of Chardonnay from freakishly tiny yields.) While some of my favorite ‘16s are very intense wines from minuscule crop levels, numerous wines from fairly full yields are turning out to be quite suave. I should emphasize that I visit only the better addresses on the Côte de Beaune so my view of a vintage is based on the performance of a mostly strong group or growers and négociants. This explains my positive view of 2016, but it must be noted that even some of the producers I visited made at least some wines that fall short in various ways: insufficiently concentrated, slightly green or dry-edged on the finish, lacking in depth or structure. And of course the variability within a given cellar can often be explained by the effects of frost and the timing of the harvest. Drought stress also clearly had an effect on some wines. The 2015 are fleshy, powerful wines, and the best examples of the vintage have turned out very well. They’re rich and mostly high in alcohol to be sure – more about very ripe yellow fruits than citrus fruits – but they also have inviting fruit sweetness and typicity. Yes, 2015 was Burgundy’s hottest growing season since 2003 and another freakishly early harvest, but there are fewer roasted wines than I would have expected and comparisons to 2003 seem a bit overdone, as the better 2015s are turning out to be considerably less extreme and more classic. The small, thick-skinned Chardonnay grapes of 2015 were healthy and little sorting was necessary. Picking dates introduced an important variable, though. Sugars were moving up quickly during the last week of August, and those who harvested very early had to endure very hot weather during the last four days of the month, typically by bringing in their grapes well before the heat of the afternoon. Those who waited to harvest at the beginning of September worked in much more temperate conditions, but of course by then potential alcohol levels could be getting out of hand and acidity levels falling fast. But some of the later harvesters insisted that the flavors weren’t yet ripe at the end of August. For the early pickers, 2015 was frequently a shorter-than-average growing season, with barely 95 days – and sometimes a few less – between the flowering and the harvest. Some 2015s, owing to their thick skins and slightly insufficient phenolic ripeness, can show slightly herbal qualities or dry tannic edges, but these are the exceptions. Once growers began to harvest, it was often necessary to pick in a rush. And in some cases, the parcels picked at the end were showing signs of surmaturité. There was a bit of rain on September 8th, but considerably more during the seven days beginning on the 12th. But by then, most of the best Chardonnay vineyards were in. The grapes had sound levels of tartaric acidity but very little malic, which eventually meant that the wines wouldn’t change much during their malolactic fermentations (some growers noted that it wasn’t even worth going to the effort of blocking part of their malos). The ‘15s are typically strong in dry extract, and some of them convey a distinct tannic impression. Some growers, particularly those who harvested early, find their 2015s more minerally and sound in acidity than their 2016s. These wines can be pungent and precise, with solid mid-term aging potential. Others say the sheer ripeness of the fruit in 2015, and the high octane levels of the wines, at least partly blur terroir character—at least in the early going. And a number of growers who bottled their ‘15s on the later side are convinced that their wines gained in shape, clarity and structure with longer élevage. I tasted most of the wines covered in this report in the cellars during the last couple days of May and first week of June and followed up by tasting additional 2015s in New York in August. As in recent years, I have been intentionally conservative in providing projected peak drinking windows for the wines I tasted in finished form. Collectors with ideal cellar conditions, as well as a greater tolerance for risk, may choose to hold back longer on popping corks. 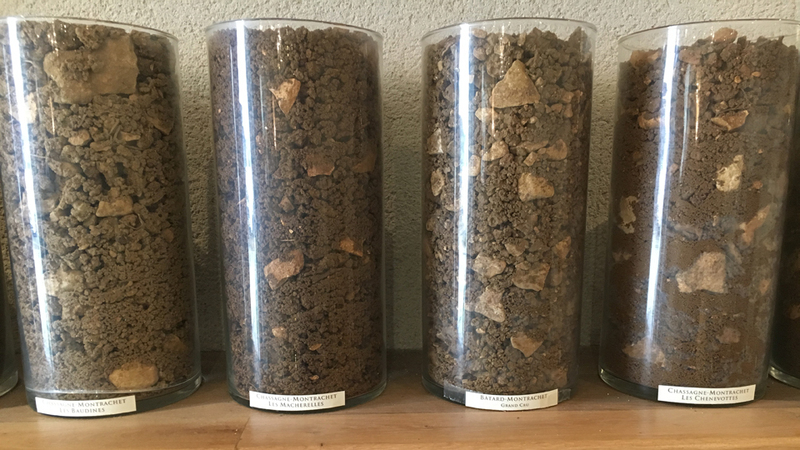 The 2015s in particular may be longer-lived than most producers believed at the outset; certainly the bottles of ‘15s that I recorked and followed over a period of days this summer generally resisted oxidation very well.